Planning ahead for your move will make it less stressful and a more positive experience. 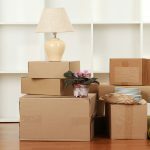 Although this is not always possible, here are a few tips and techniques to make your move easier. Whether your looking to have us fully pack and move your home or just move the heavy furniture, we can help. or we can give you a rough quote based on the average home or office of your size. Your quote will be based on an hourly rate that never changes with a one time travel charge. All moves include our standard insurance, truck, equipment, padding and wrapping of all your large or breakable furniture and free wardrobe boxes. For your move you can do as little or as much as you want. Having boxes packed, stacked 3 or 4 high with clear paths to all items really helps your move go smoothly. More moving tips can be found on our tip page. In timeam imperdiet ius, cu oratio consequuntur sea, et pri quaestio deterruisset comprehensam. Nam cu harum delenit mentitum, ne tation pericula mnesarchum nec, nam quem debet ubique an.